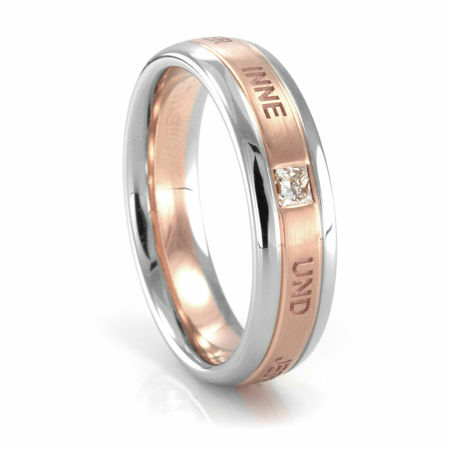 The NEW BEGINNING palladium and rose gold ring by COGE is definitely inspirational. Notice the fascinating inscription in German characters that goes around the ring. Translated, it means "AND A MAGIC DWELLS IN EACH BEGINNING" and comes from Hermann Hesse poem. A near flawless princess cut diamond is flush set in the 18K rose gold. 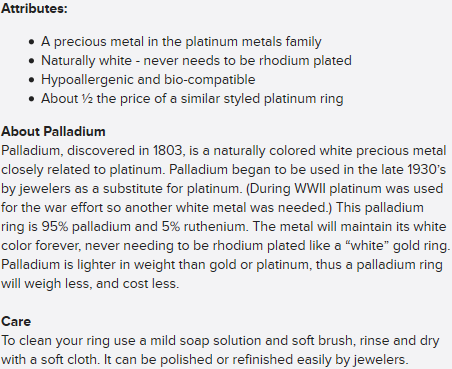 The edges are finished off in precious palladium. The interior and edges are European comfort fit. Fascinatingly gorgeous and sure to be a conversation starter! Unparalled design and expert German craftsmanship by COGE.